Seattle II 3-Pack Tables have smooth contemporary profiles combined with graceful lines to create versatile transitional styling. 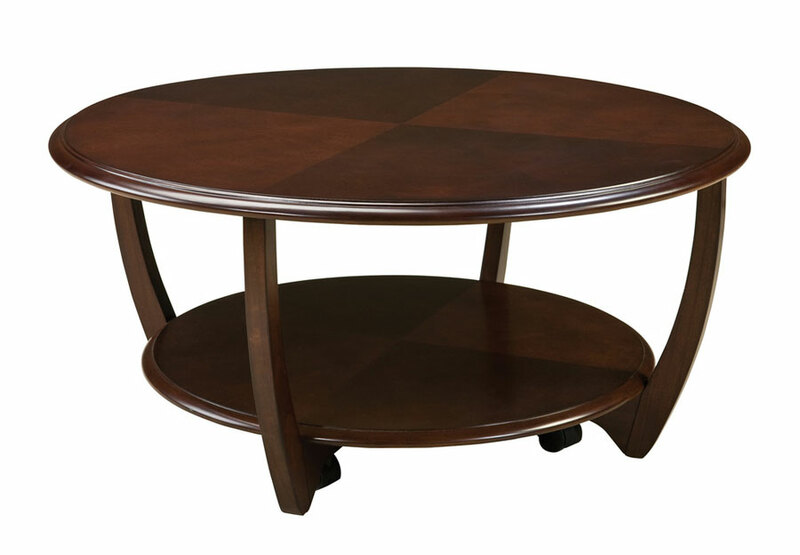 The 38" Round Cocktail Table and 25" Round End Tables both have wooden tops with ogee edge, and reverse diamond veneer top patterns. Curved legs sweep down from underneath the tops to converge as support for a bottom circular shelf. 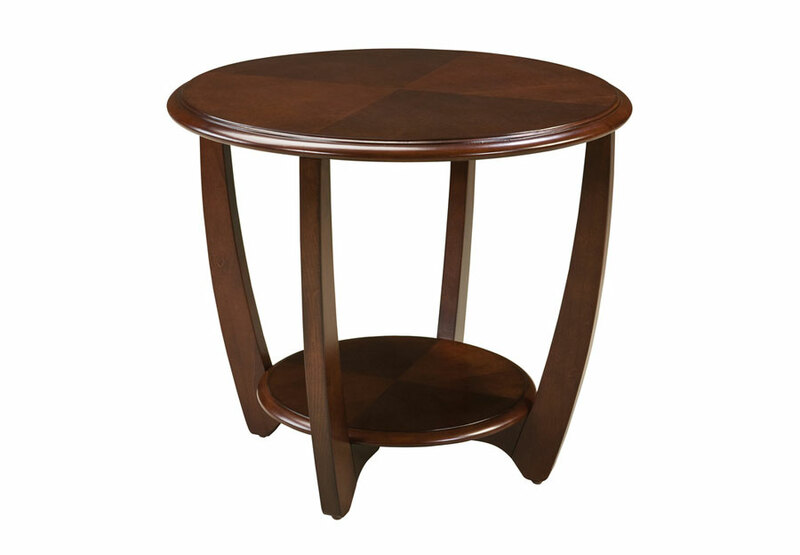 Seattle II is constructed of birch veneers over poplar solid and other select hardwoods with quality wood products. A warm dark cherry stain with low subtle sheen highlights the beautiful birch grain, plus has a bit of dark brown edge shading for interest.